A libertarian, a liberal, a liberationist, a feminist, and a virtue ethicist all walk into a bar. 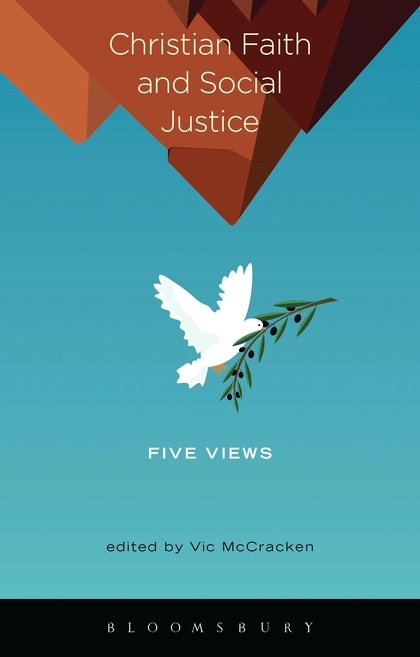 This is the basic premise behind Bloomsbury’s new offering Christian Faith and Social Justice: Five Views edited by Vic McCracken. This book is intended to serve as an introduction to and conversation between five distinctively Christian approaches to social justice. The five views represented are: Libertarianism (Jason Jewell), Political Liberalism (Daniel A. Dombrowski), Liberation Theology (Miguel A. De La Torre), Christian Feminism (Laura Stivers, and Virtue Ethics (Elizabeth Phillips). The result is a highly engaging book sure to stimulate and challenge one’s Christian approach to social justice. The most helpful part of the book was witnessing the generous, yet vigorous, conversations between the respective authors. This interaction is what makes books of this variety (competing perspectives in dialogue) so valuable. It’s much easier to assess positions and arguments when you are able to immediately see the critiques posed to each position. I also appreciated that each author had one last chance to respond to the other writer’s critiques. I haven’t found this feature in all books that present multiple perspectives, but the longer the conversation goes the more able the reader is able to assess the arguments. Each author did a fair job presenting their position and the main chapters thus serve as a good introduction to these different approaches to social justice. If one is unfamiliar with one of these positions, it’s possible to use the quotes and footnotes to compose a good list of primary texts for further study. A suggestion: it might be helpful to have each author provide a recommended reading list for their viewpoint. Two possible downsides to the book: first, one finds many different approaches (some more philosophical, some more exegetical, some more theological) throughout the book. I’m not sure that can be avoided with so many authors involved, but some readers might be disappointed if they are expected a discussion that is primarily philosophical, exegetical, or theological. Second, it is not always clear how the five viewpoints interact and overlap with each other. There are obviously many clear differences, but on many occasions the authors wish to point out the possibility that their view is compatible with certain versions of other viewpoints. To this end, it might have been helpful for each author to address a uniform and concrete example through the lens of their viewpoint. McCracken offers three “case studies” in her introduction and I would have been interested in each author specifically addressing these situations. From my perspective, I found Elizabeth Phillips presentation and defense of virtue ethics to be the most persuading. To be fair, I read the book already very appreciative of the work of Alasdair MacIntyre and Stanley Hauerwas. Likewise, I found the libertarian position to be most lacking, although it was presented much more attractively than it is often represented by its ideological leaders in the media. Note: I received this book from Bloomsbury in exchange for an unbiased review. Next > The Carnival is Coming to Town!